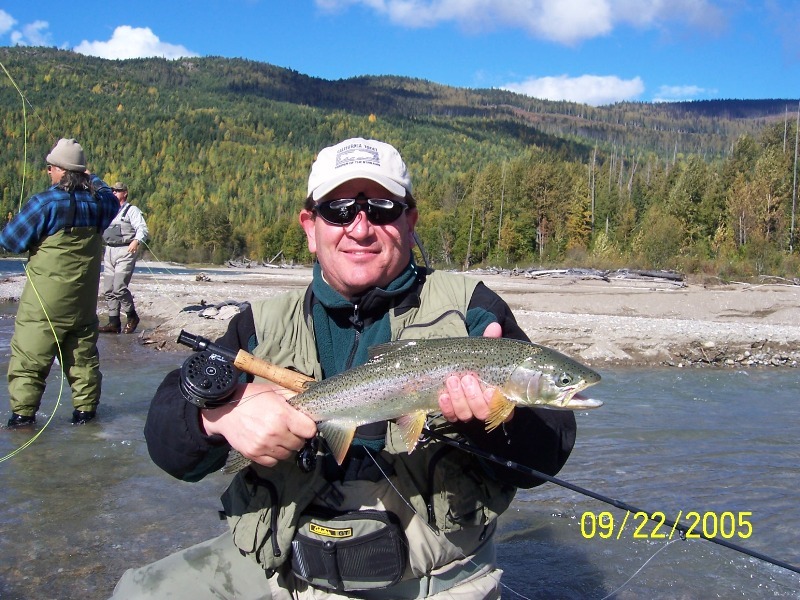 Fred L - Los Angeles California - Fishing on the Blackwater River, I caught and released over 100 fish in one day, the float trip was beautiful with eagles in the trees and king Salmon in the river. Our guide matched the hatch with his modified flies, allowing my partner Tom to be into his first trout on his second cast. This action continued all day, making this the most fish we ever caught on a river in our lives, Simply Outstanding. Louis U. - San Francisco California - Doug, I wanted to thank you for being such a great guide and companion, and for the great adventure. The fishing and scenery made it a fantastic trip. 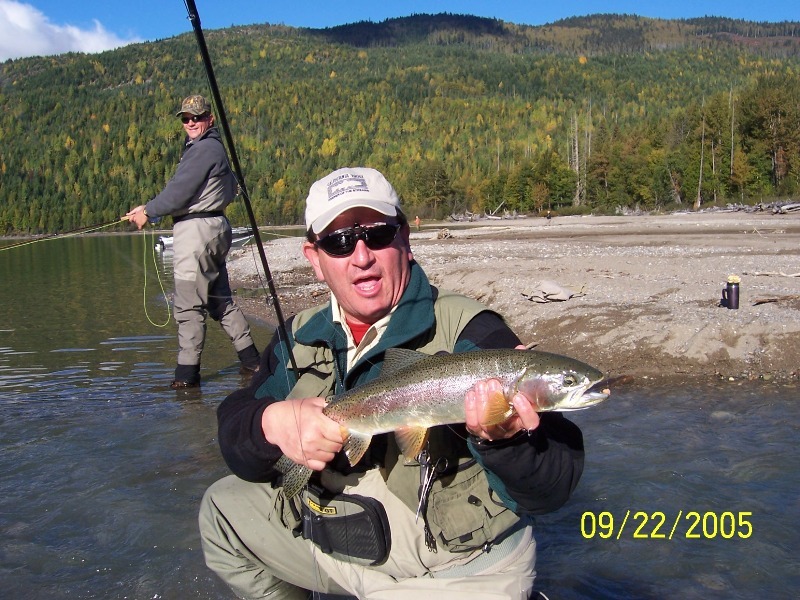 Attached are a few photos of big trout from Brown Lake. Hopefully we can fish together next year as well. John & Cheryl R. - Australia - A 24 hour flight to get here, and worth every minute. 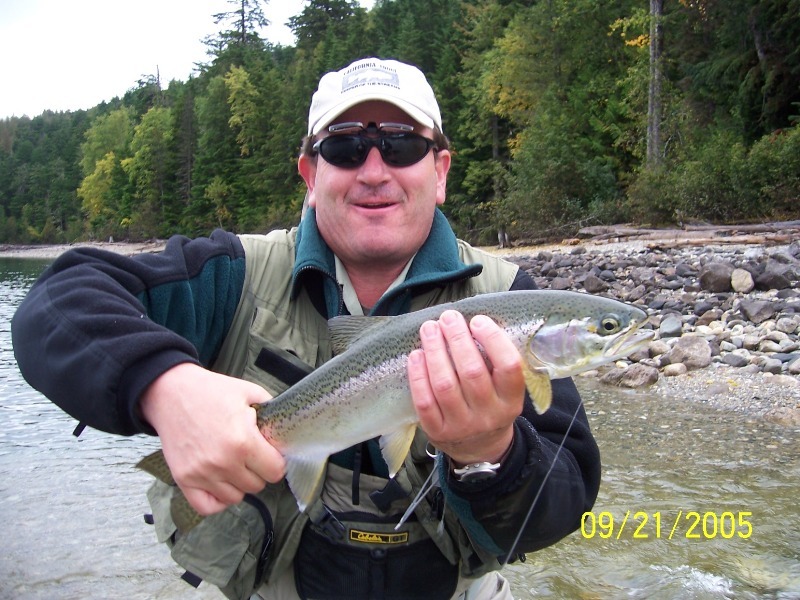 We caught some very wild Rainbow Trout in three different rivers, with the cool clean water the trout fought like mad. 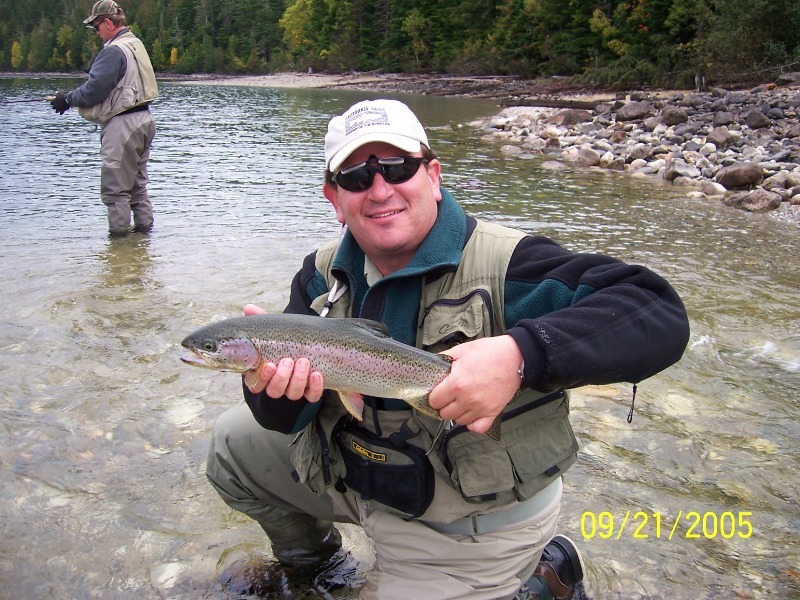 You are one of the best guides I have ever fished with, when you say the fish are there, they are there! Just bloody wonderful is how we feel about our experience. Thanks for teaching Cheryl how to fly fish, now we are planning next years fishing trip. You can expect to see us again. 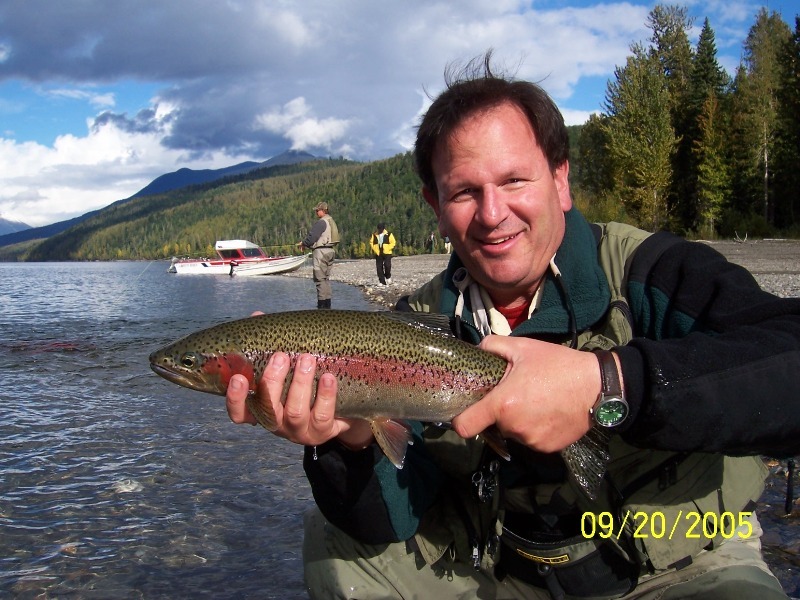 Roland C - Anchorage Alaska - Fishing in Dragon Lake with you every spring and fall is lots of fun. 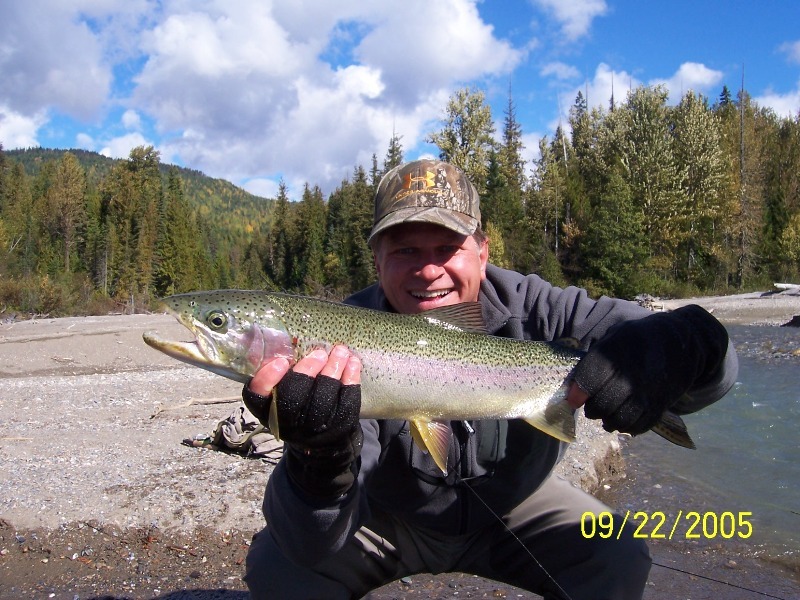 The size of Rainbows we catch is amazing and keeps me coming back to catch more. Yours and Teri's hospitality has made me feel at home and we now have become life long friends. 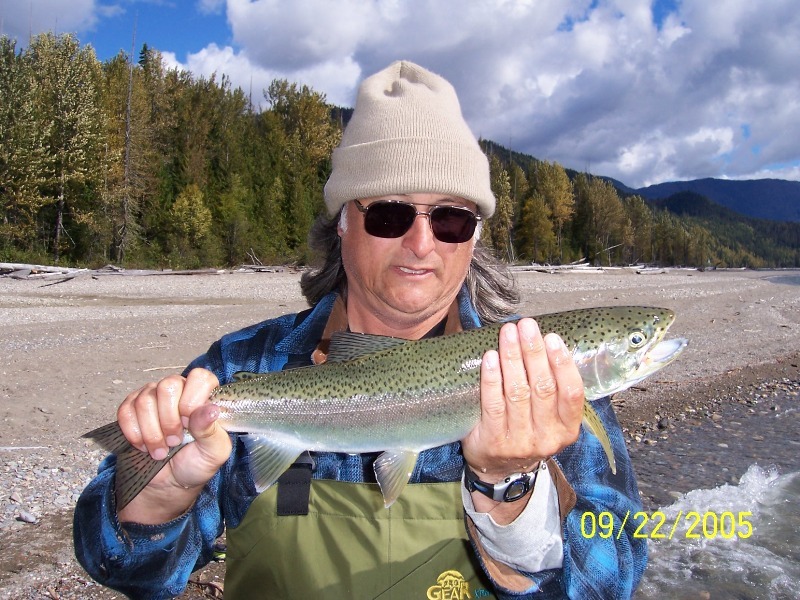 Doctor Bob M. - Portland Oregon - The trips I have taken with you have produced lots of laughs. 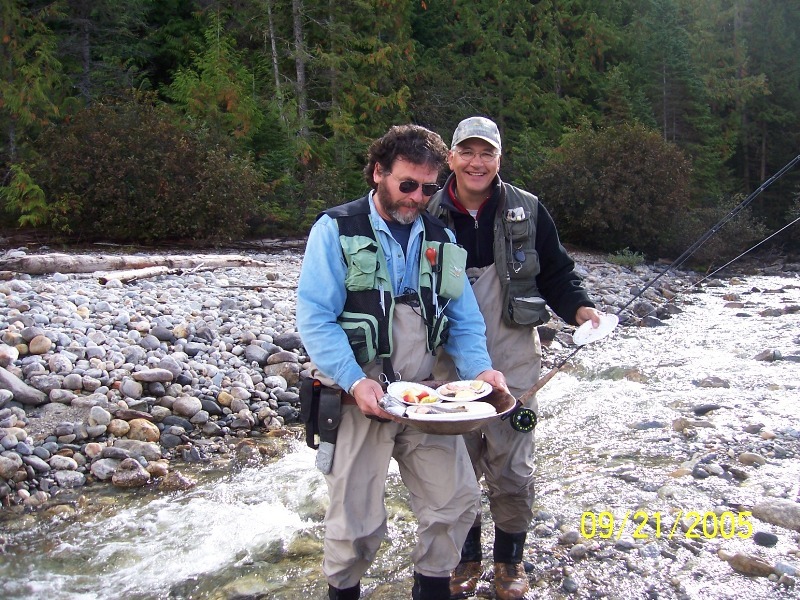 We have waded many miles of rivers, caught hundreds of trout, and shared many special moments. 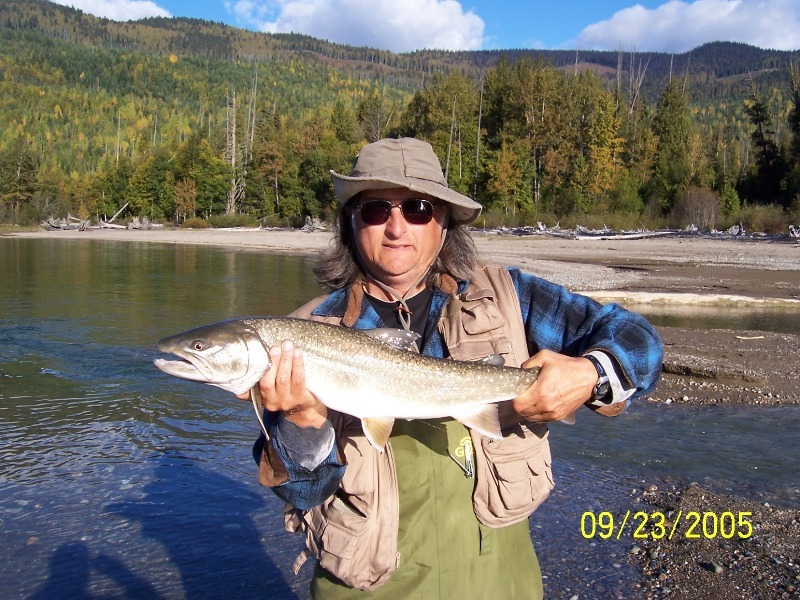 I enjoy trying out my new fly patterns on those feisty cariboo trout. Every trip is an experience as your area has so much to offer! John & Zack P - Vancouver BC - The week we spent with you was amazing, from jet boat fishing on Quesnel River, to our float fishing the Blackwater River and fishing some remote lakes. Everywhere we went my son and I caught loads of Trout, many over 20 inches. These memories of our trip are special to us and we would like to thank you for teaching us both how to become better fly fishers. The outdoor experience was so relaxing; it let us recharge ourselves, those crackling campfires, and big stars in the sky - WOW ! We will be seeing you next year. Gerd R. - Calgary Alberta - Munich Germany Greetings and a Big thank you for making our summer so much fun. Our Visitors are still talking about the river adventure you presented to us. It has been an exceptionally fun quality time, and I am sure more of our buddies from back home in Germany will want to take a trip with you. 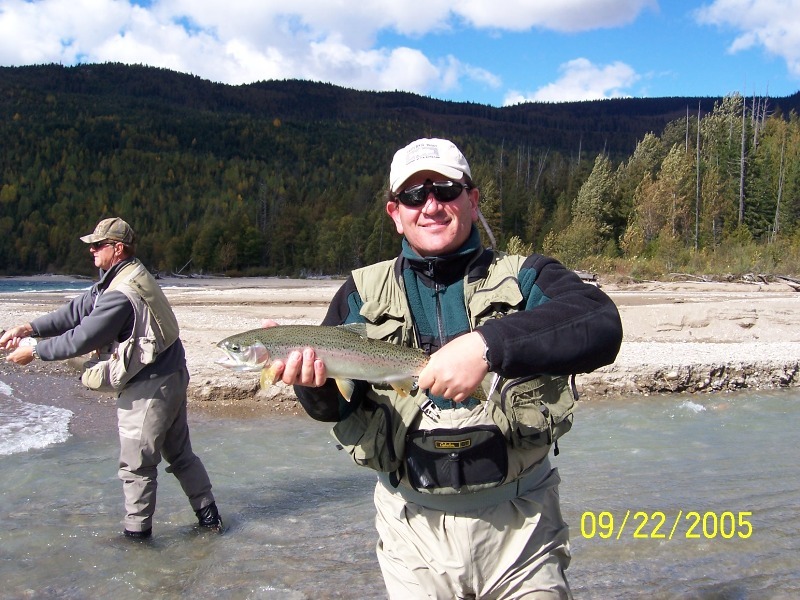 Dave W. - Houston Texas and Leon W. Long Beach California - We caught more big rainbow trout on this trip then when we were in Alaska. The different Cariboo characters we meet made our trip a very memorable one. This has to be our best fishing trip yet. 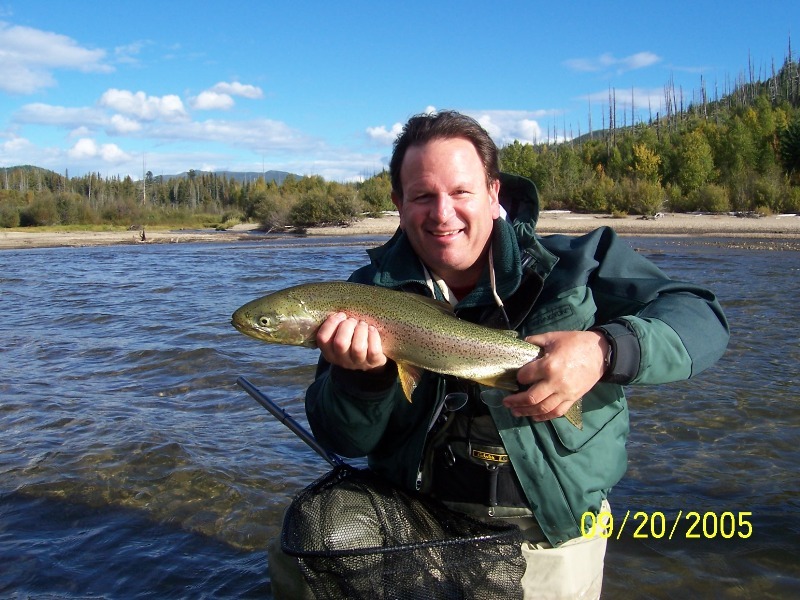 Fishing in the clean mountain air was such a treat, as well as using the Jetsled to reach the best holes on the river. Betty's sweet Bannock was a nice surprise for lunch. The trip was a real treat. 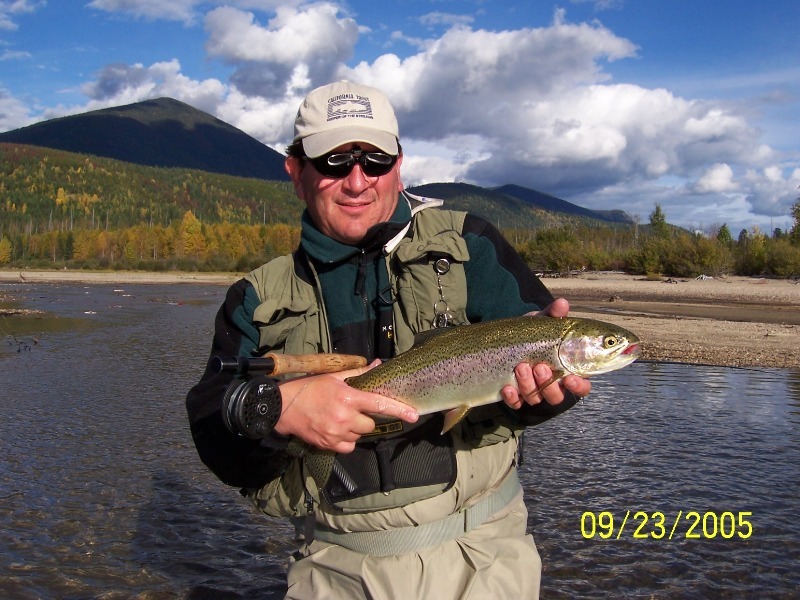 Carl M. - Montana - The Fishing on the Blackwater River was incredible; you can drift right up to the fish without spooking them. 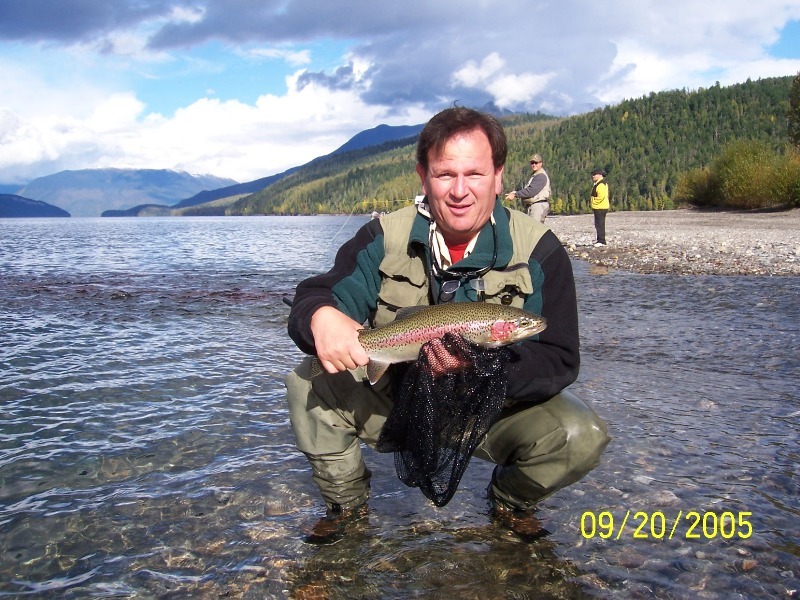 The amount of hook UP's in one day on the dry fly are to numerous to keep an accurate count. Seeing Moose, Deer, Black Bear was just great. The Lakes are so full of fish it is hard to stop for lunch, Thank you for a truly wonderful adventure. Bring your camera and lots of film (card memory and batteries).